Giving and Gratitude is a precious cycle of exchange that keeps us vital and alive. Every day, in a million ways, we are given incredible gifts. Sunlight, air, vision, purpose, family, and amazing opportunities for growth. 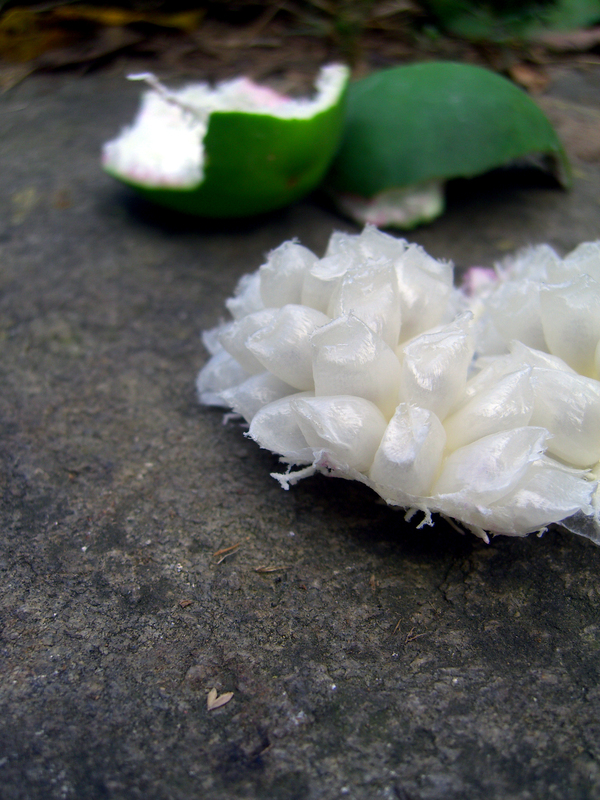 These gifts are rained down upon us, softening the hard landscapes of our existence, encouraging us to blossom and become rich with the unique possibilities of our individual lives. In a natural cycle of giving and gratitude, we accept these gifts as readily as the land accepts summer rain. Sometimes the gifts rise up out of nowhere, incredible springs of energy and inspiration. Other times, the gift comes in the form of icy snow, seemingly pummeling our summits. No matter the origin, we receive it. Every person, situation, material or event is an opportunity for gratitude and growth. In time, even the harshest and most frigid gifts dethaw and flow forward with a clarity we might never have experience otherwise. Once these gifts are received, the only natural thing to do is let them stream outward of their own accord, in the sailing ease of immense gratitude. 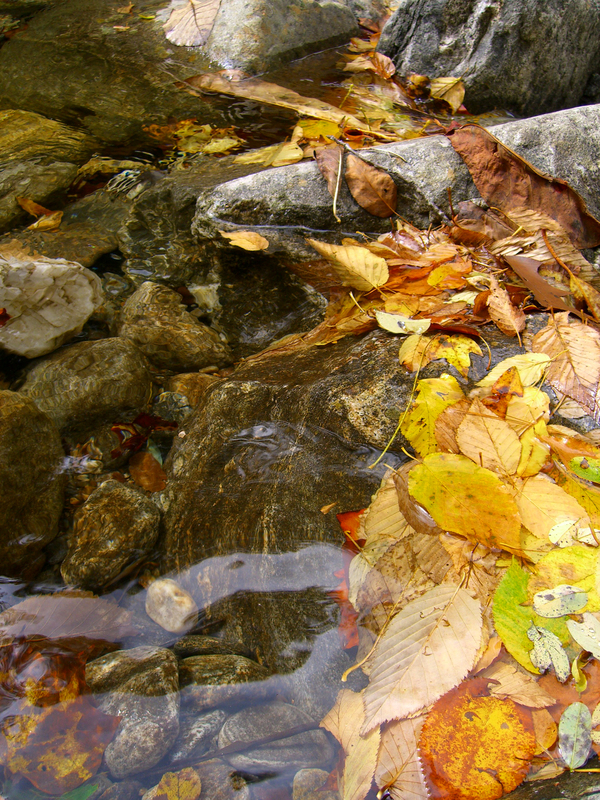 Like rivers, streams, tributaries and lakes– let the bounty pour from you in gratitude, gratitude, gratitude. There is so much to be thankful for. It is this gratitude that eventually refills the vast oceans of our society and our land, and it is this gratitude that replenishes further gifts and giving. To day, the only day built into our calendar for thanks giving, I express my gratitude for all of the blessings in my life. Thank you all, Thank you everything. How wonderful it is just to be alive. Autumn has passed swiftly. In one momentous sweep the mountains around my home turned from yellow, to gold, to amber, to ruby and then finally– with a last groan– to earth and brown. 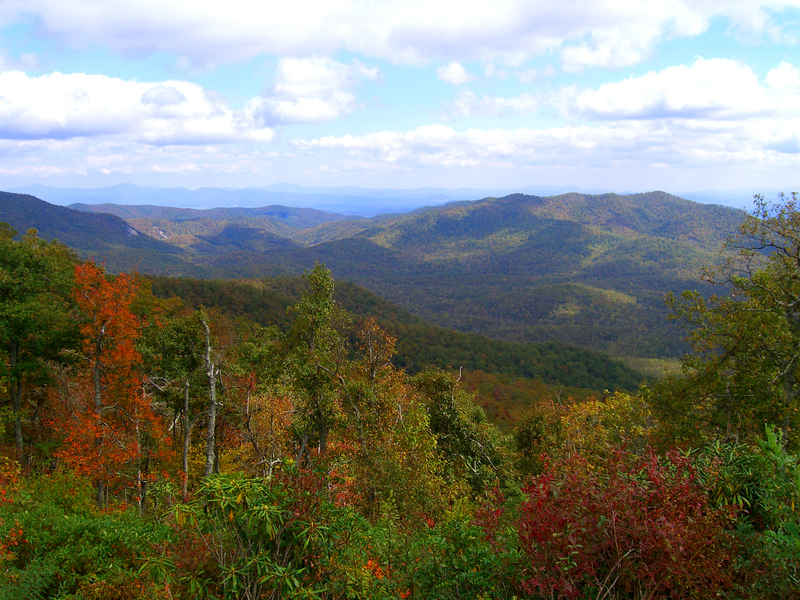 Here in the Blue Ridge we watch steadily for that first bit of color. It seeps down from the top of our hearty navy mountains slow and liquid, as if the sky had poured its technicolor honey straight down onto the tip of their crowns. I love fall. I love how sublimely the earth shows its individuality. One tree might be totally bare by mid-october, while another is just beginning to let go. We spend so much time plodding through unkept piles of leaves that we get lost in their commonplace and collective familiarities. But I love thinking about each leaf. To our eyes, they are always falling. But to a single leaf, the moment is singular, irreplaceable. There is a surrender in Fall that takes my breath away. It’s almost ecstatic, how the living let go to the cold’s embrace. 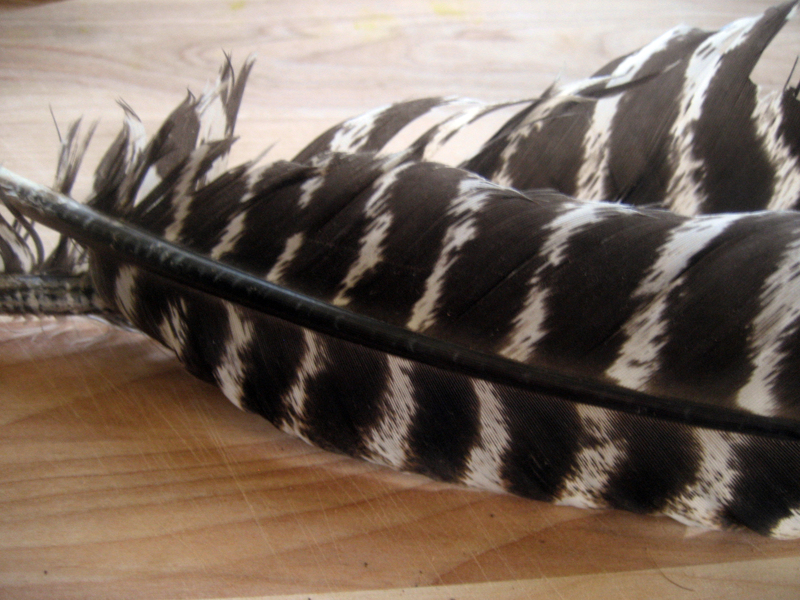 Some die, some sleep, some pull inwards and prepare for the season of their magnificence. I imagine it must be powerfully peaceful, transcendent. Fall is the time for harvesting. Collecting roots and the fruits of your labor, taking stock of all that you have tended and grown over the year and letting go of the rest. Harvesting means more than embracing that which has flourished and nourished you, it also means leaving behind that which no longer serves you. I am simply in love with how this season defines abundance– in Autumn’s shape, abundance is not just the acquisition of what you need to feel full and happy, abundance is a kind of inward expansiveness, a steadiness and contentment that allows you to let go. My fall was infused with joyful and conscientious gathering (and partings as well). Wild fruits like autumn olives, maypops (passionflower fruit) and persimmons (which should be collected when soft and mushy, otherwise you risk an astringent mouth straight jacket like you have never experienced before). 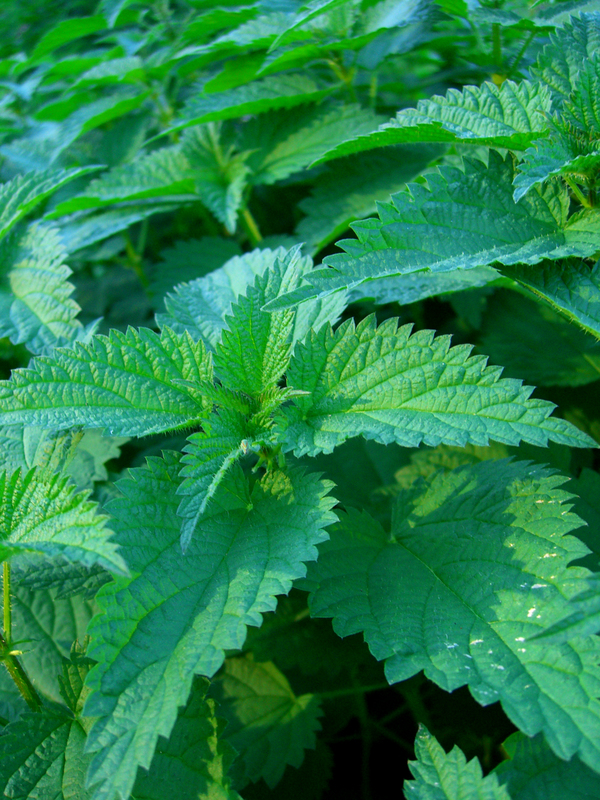 There are leafy fall medicinals making their return on the other side of spring– stinging nettles, chickweed, and cleavers– as well as some herbs that only appear this once, in the waning of the season’s warmth. 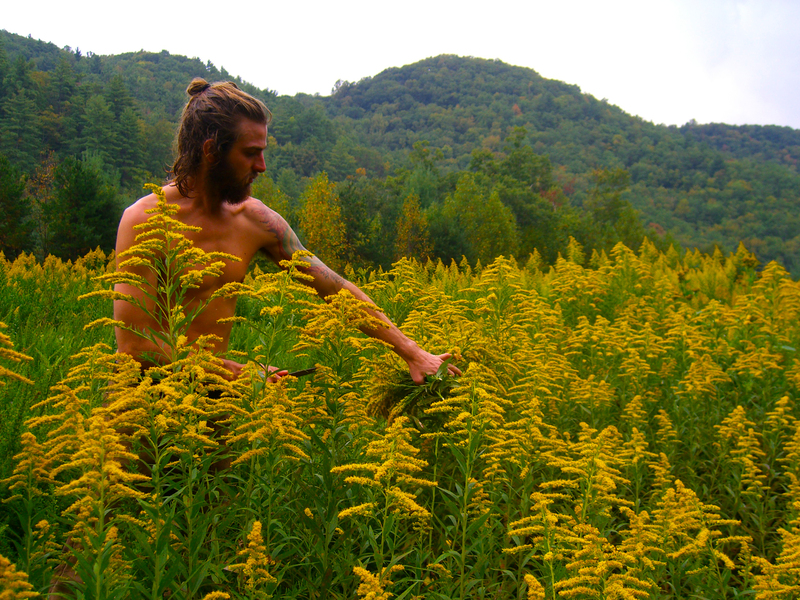 Goldenrod, a common roadside adornment, is one of my favorite fall medicine flowers. 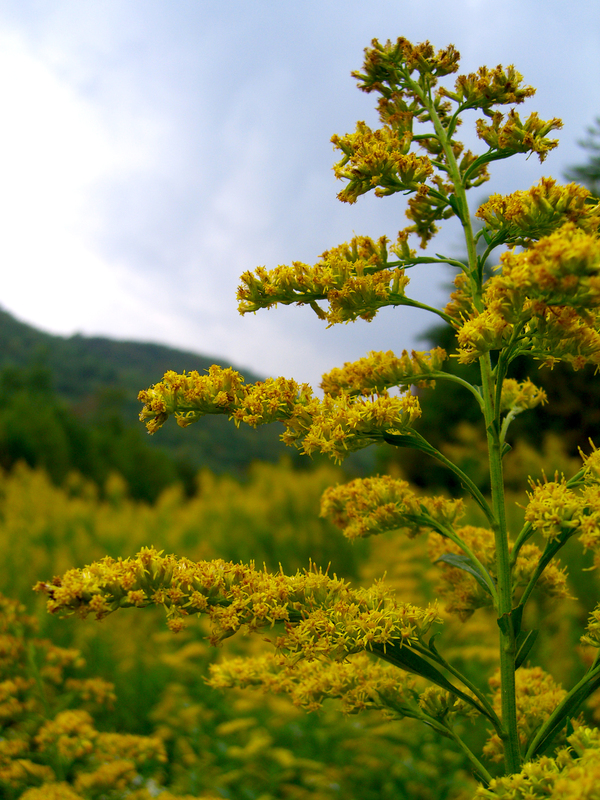 Known to many as an allergen, Goldenrod actually works to combat the symptoms of allergies, alleviating the sinuses as well as helping to improve kidney function and heal UTIs. Fall is the best time of the year to dig most roots. 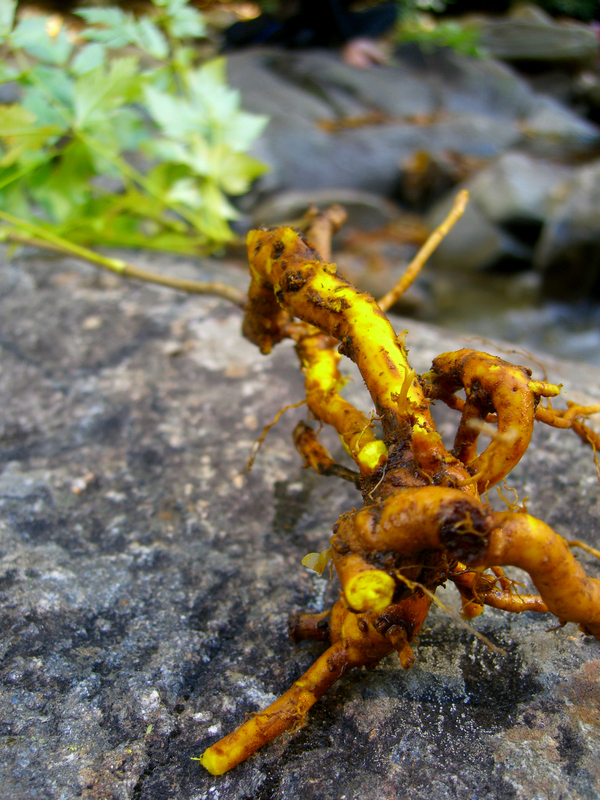 From fields and wayland to forests– these are the roots for which we have waited all season. I scrambled under fences to low pastures of Yellow Dock, Dandelion, and Poke. 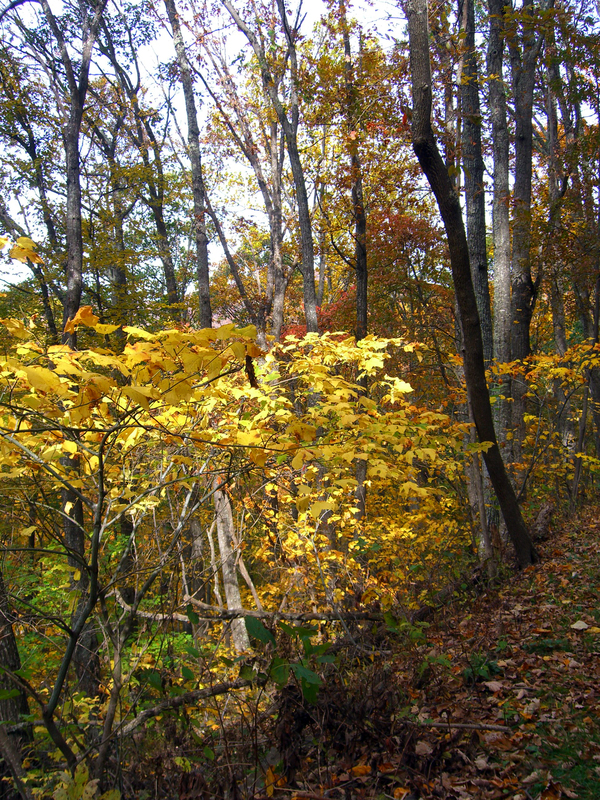 I climbed wooded hillsides to find Wild Yam, Black Cohosh and Appalachian Osha. I journeyed to the Pigeon river and dug thin and willowy Yellow Roots from their sandy banks and slanted roofs of river stone. 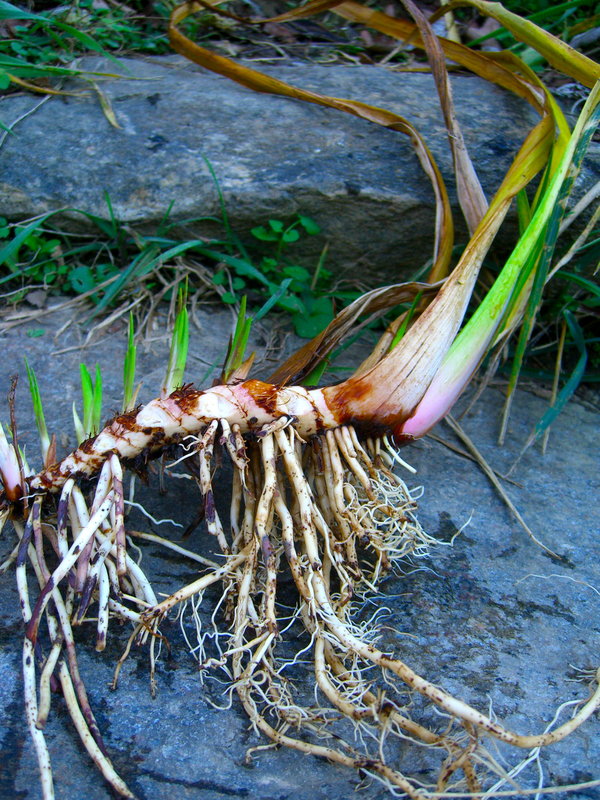 I harvested roots from my garden that I’ve been watching grow for years, waiting for them to return heavy and thick. Valerian, Calamus, Burdock, Echinacea, Comfrey, Angelica, and Elecampagne. I am in deep awe of elecampagne. 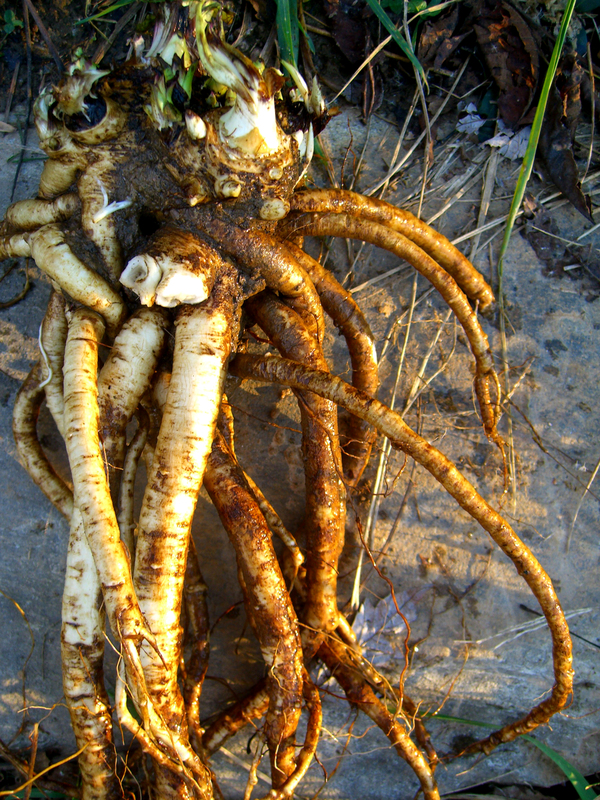 The day after I harvested over 5 lbs of root a friend from out-of-town arrived at our doorstep, bemoaning a deep, boggy chest cold that had been lingering for weeks. Hoping to give her at least a little bit of relief, I brewed a big pot of elecampagne tea for breakfast. Everyone exclaimed at its deliciousness! Aromatic, clearing, almost spicy with hints of both sweet and bitter. Walking down to the pasture afterwards our friend began coughing up long stuck muck. When we saw her the next day, she was glowing. “I am completely healed!” she exclaimed. Apparently, after battling this chest cold for almost a month, all of her symptoms completely disappeared. She was breathing easy and her lungs felt unfettered and free. Frankly, I was shocked. I normally think of herbal tea as a pleasure activity with the added benefit of some gentle healing. But this pot of elecampagne tea was powerful medicine. I felt reverent. As the old Latin phrase goes, Enula campana reddit praecordia sans (Elecampagne will the spirits sustain). Fall is also the season of the nut. Many people are totally unaware of the blissful amount of food that falls from the tress every autumn. When I was growing up I remember thinking of nuts as fun toys or loathsome burrs. It wasn’t until I was an adult that I was introduced to the wonderful world of eating wild nuts. 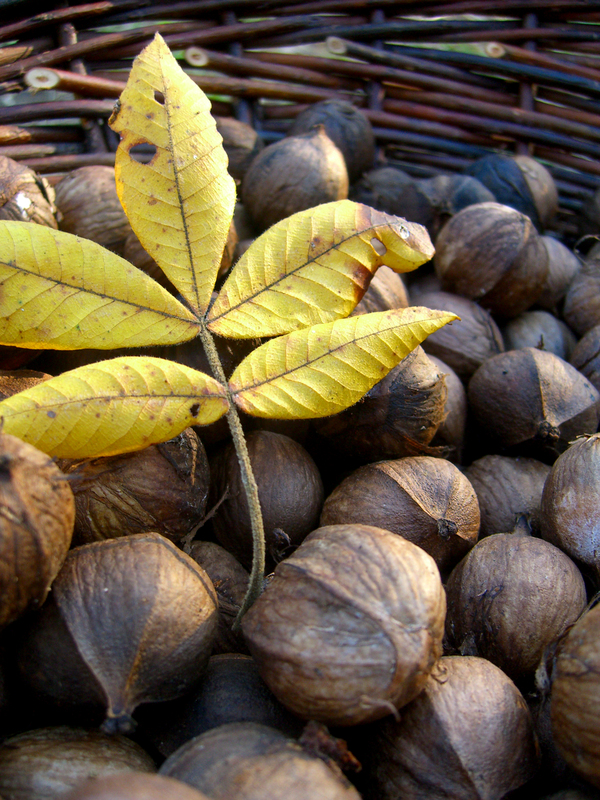 Hickorys, acorns, black walnuts, and chestnuts. 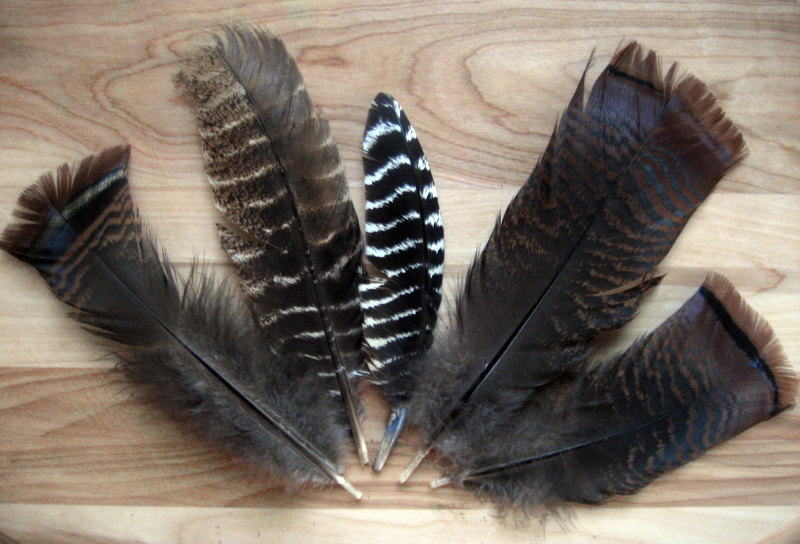 All of them require a bit of processing, but they are well worth the effort. The first step is always to remove the nut from their fleshy hulls, otherwise they’ll rot. 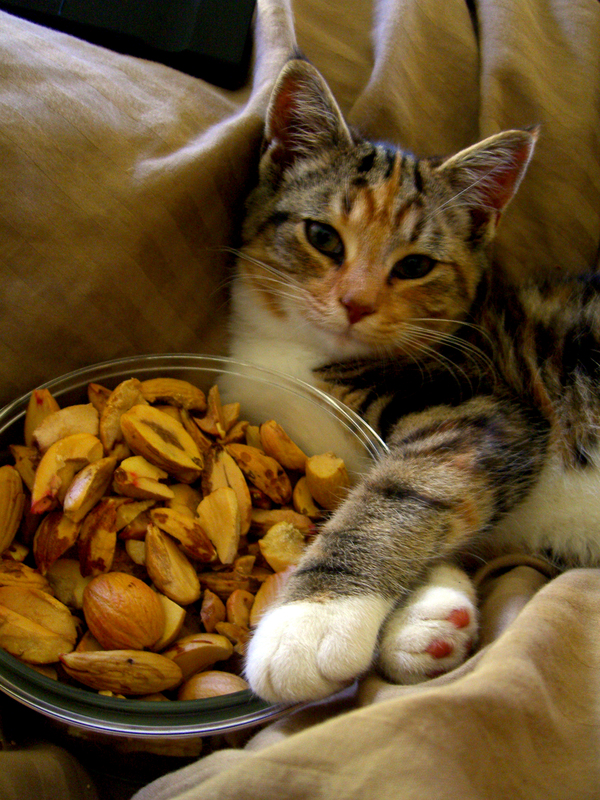 Once bare, nuts can be stored in their shells for over a year without going bad. 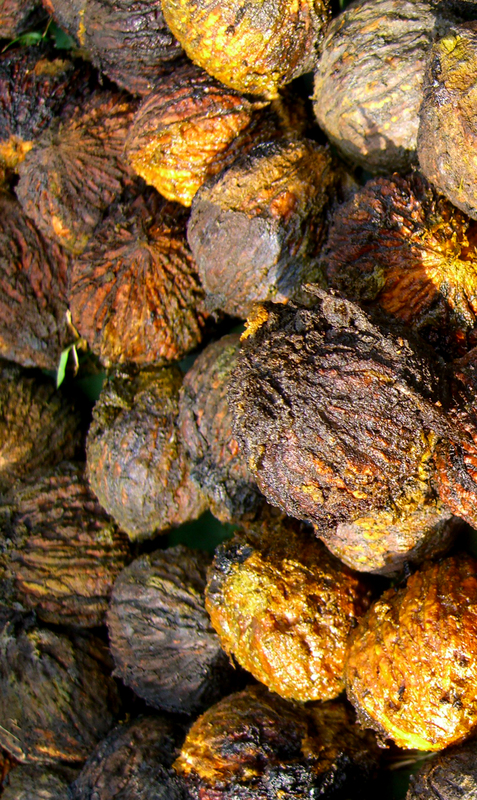 Some nuts require additional processing, like acorns, which must be leached of their tannins (an astringent and bitter compound that will turn your digestive tract into an uncomfortable fist). Some hulls have additional uses. 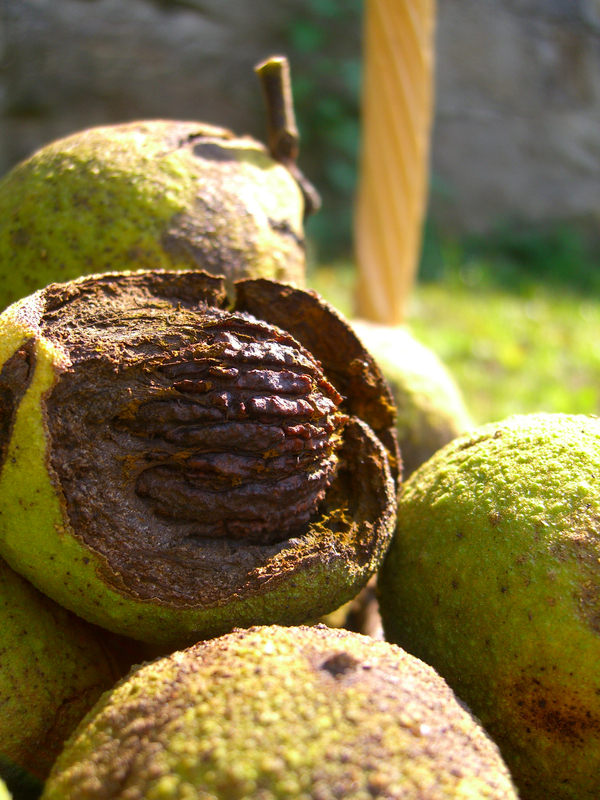 Black walnut hulls make potent medicine for parasitic and fungal infections and an excellent dye. In fact, if you process a good bit of Black Walnuts without washing your hands, you’ll end up with dark brown paws. 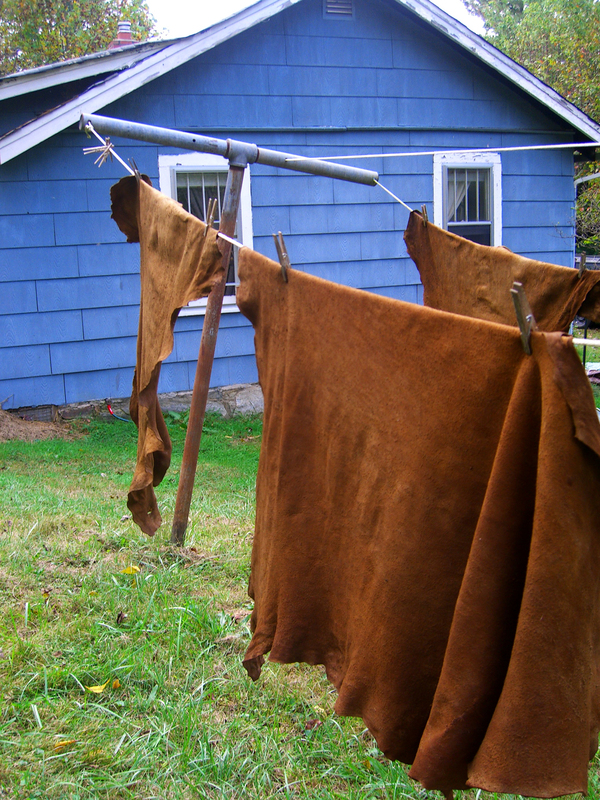 We saved a good bit of hulls to dye deerskin that had already been softened and smoked. 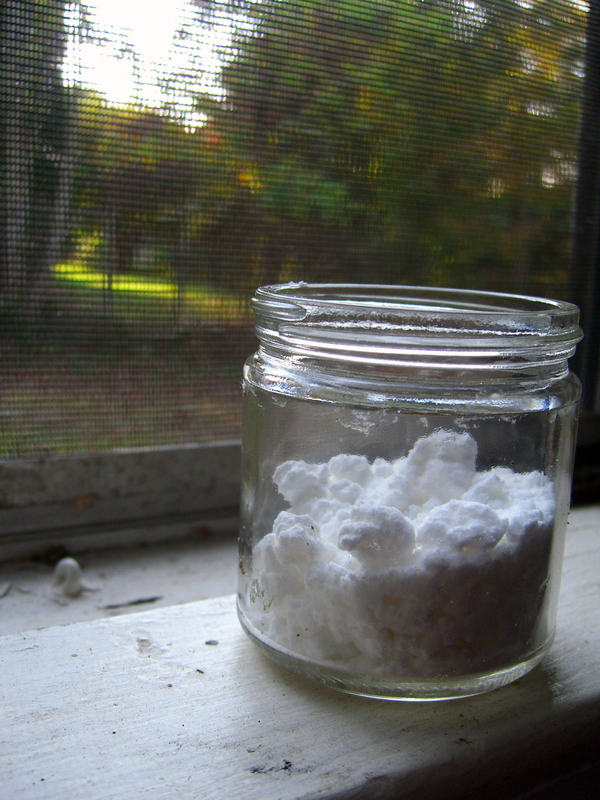 You can also use the dye for any other natural fibers like wool or silk. 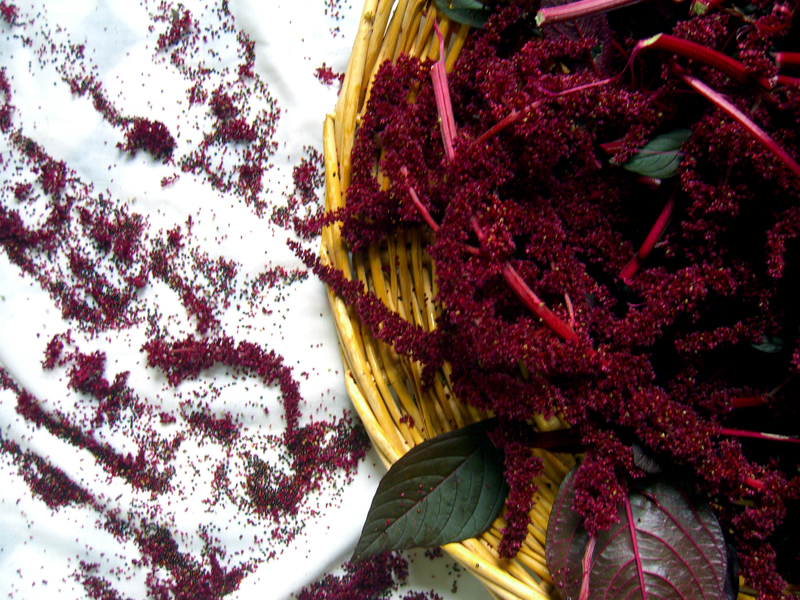 Red amaranth, which grows in wild profusion at the top of our hill, is known for its deep and jewel dark dye. 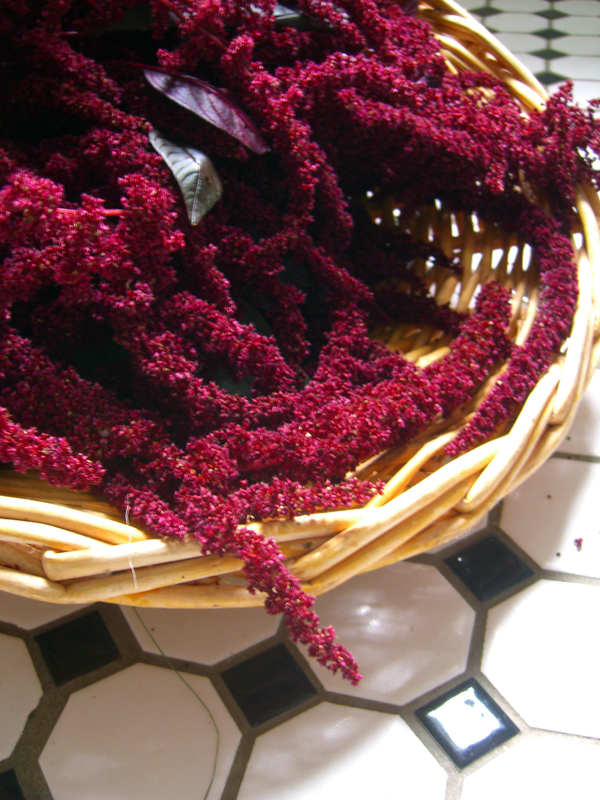 From seed to bloom, I have worshiped this plant for the richness of its color– an almost maroon, ruby-velvet hue. We collected enough to stuff a tall stock pot and brought it to a boil. Using alum as our mordant (a substance that helps to set dyes in fabric) we plunged a hearty load of cashmere and silk into its depths and simmered our brew for over an hour. 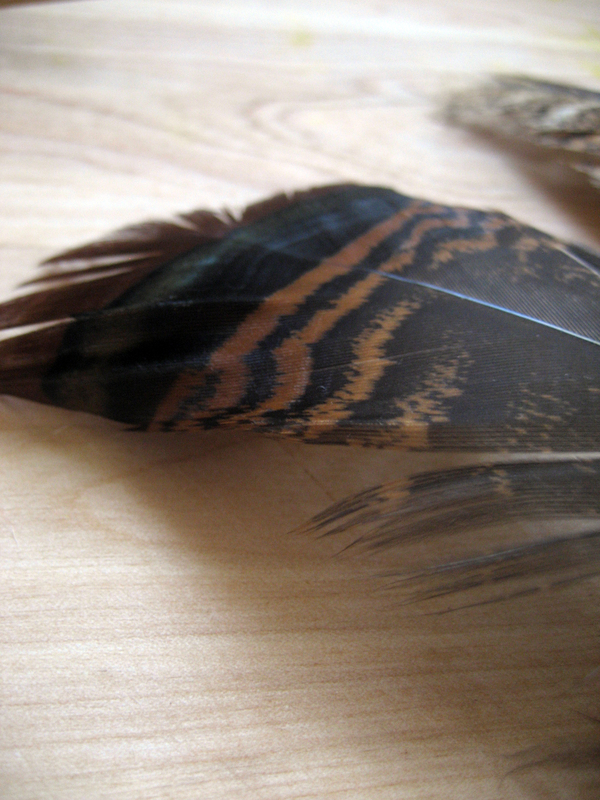 As with most things wild and handmade, the process was slow and much less flashy than you might expect. But the soft pink dye that was left behind was simple perfection to me. 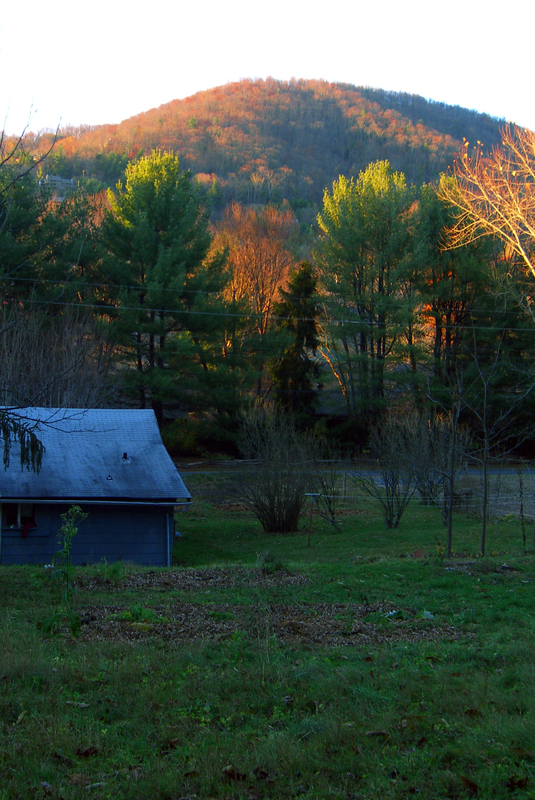 This past weekend we had what might be the last of our lovely fall days. It was sunny and bright and the colors of the mountain looked as if they had just been born. I spent the whole day sitting on the hill behind our cottage. I watched the gardens with utter appreciation, loving that which I knew was falling asleep underneath the thick duff of leaves as much as I admired what remained– the hardy fennel and tobacco and the flowers they both still bore. Despite the bareness of the trees and the gray web of their forests, stretching in a fog across the ridgeline of our valley, I cannot remember a day when I felt so sublimely alive. Everything, all of it, was just so delightful.